A week ago we had a visit from Páll Ásgeirsson at Austurbrú, the East Iceland marketing office. He joined us for a drive around Breiðdalur valley and filmed several beautiful clips of the area. Here are two videos showcasing this beautiful place. The first is an overview of the valley and its many sights. The second one focuses on two stunning waterfalls that decorate the valley. Let’s take the chance to go on a journey through the beautiful landscape. 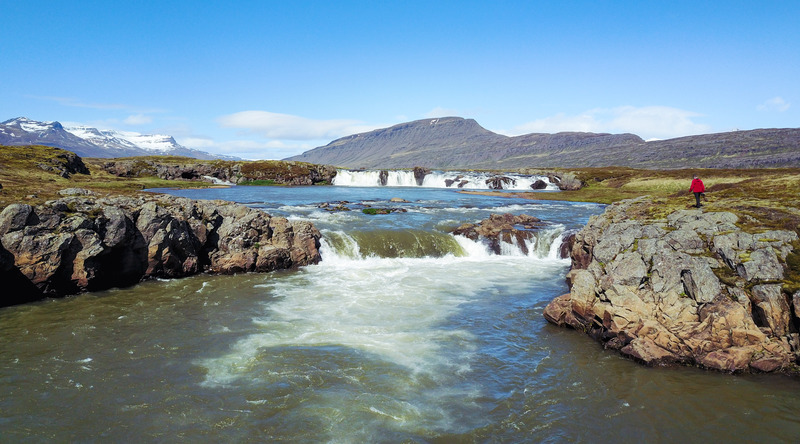 To see these beautiful sights you can join us on tour around Breiðdalur valley or our East Iceland Nature and Culture excursion for a more extensive experience.